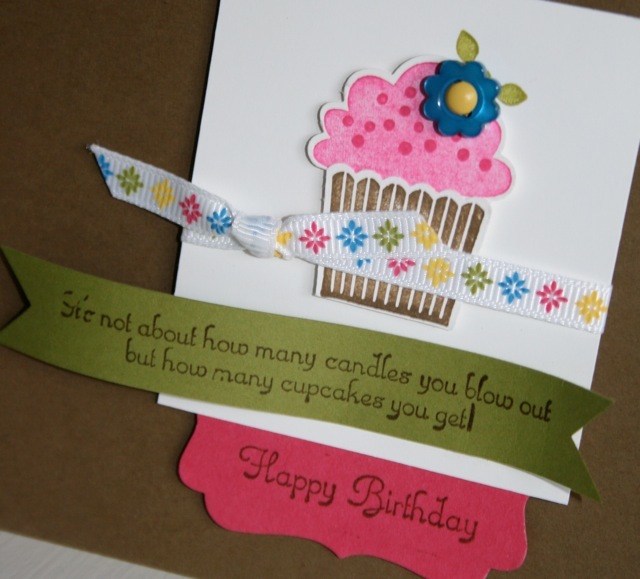 Yes, that is right I have a sweet tooth for anything...candy, cakes, cookies, Cokes, but also cards with a sweet layout and subject matter. 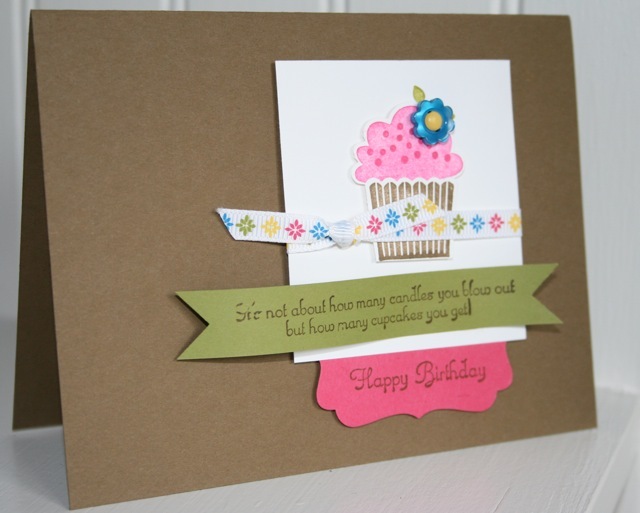 For this easy layout and clean card the colors were selected to match the Ice Cream Parlor buttons and ribbon. By the way if you have not got these two awesome accessories call me and I'll hook you up.